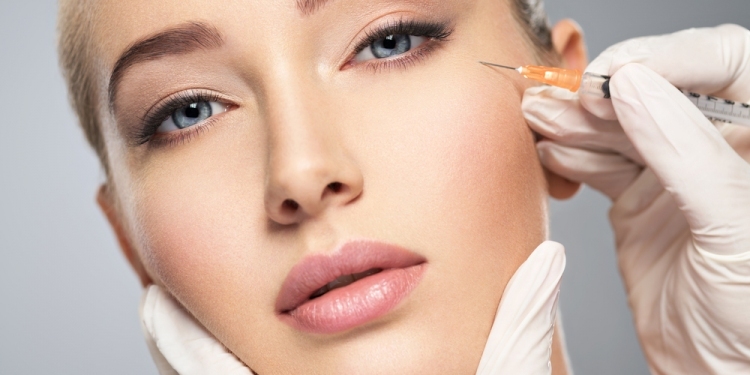 Of all the cosmetic treatments available, cosmetic injections are perhaps one of the hardest to make a decision about. They promise big results, but they also come with a stigma attached – the risk of pain and side effects that may put you off. Today we’re going to take a look at this kind of cosmetic treatment, to clear away some of the myths and confusion surrounding the topic, and let you make an informed decision about whether it’s right for you. There are two kinds of cosmetic injection treatment – dermal fillers, that make your skin appear plumper and firmer by literally filling out areas where it displays wrinkles and crows feet, and botulinum injections, which work by affecting the muscles which control the areas of skin where the wrinkles appear. Both types of injection require an appointment with an aesthetician or clinician. You can give yourself a better chance of getting exactly the results you hope for by doing your research first and making sure you’re going to someone who specialises in the treatment you want, with a good record and reviews from other customers. The clinician will first discuss what you want to achieve – as an expert it’s well worth taking their opinion on board, rather than sticking to your initial ideas. They have more experience not just in their treatment, but in different faces, skin types and bone structures, so they’ll have a more informed idea about how to achieve your aims. After you decide, together, on how to proceed, the clinician will first clean and then numb the areas where the fillers will be applied. Obviously, it’s not recommended to wear makeup to this appointment – it will get cleaned off in part, leaving you with an uneven look. It also makes it a little harder for the clinician to work out how best to position the injections to create the effect you want. The main concern about the process for many people is that it will be painful. Fortunately, beyond the initial prick of the needle this is not a painful process: it can feel uncomfortable, and then tender from the 24 hours after the treatment but it heals swiftly. As long as you follow the aftercare advice you’re given you shouldn’t experience any pain. After a day of avoiding hot food and drink and avoiding exposing your face to extreme heat and cold, the main part of the recovery process will be complete if you’ve opted for dermal fillers. The botulinum (or ‘botox’) injection requires some additional care to make sure you get the results you want, with facial massage, strenuous exercise and alcohol recommended to be avoided for 24 hours after the treatment. Your clinician should explain all the specifics and if you have any questions you should ask – this is a low risk procedure, so putting in the effort to keep the recovery period low risk as well will ensure you get to enjoy your new look with the minimum of stress!